Beets are tasty and nutritious, though many of us have no idea how to cook them properly. That problem is over for you, because this article is going to teach you how to cook beets like a professional! The easiest, and most flavorful, way to cook beats is to roast them. Preheat your oven to 350 and start preparing your beets. Wash them well, then chop off the greens and tips. Toss them with a few tablespoons of olive oil and a little salt, then place them in a foil covered baking sheet. Cover the top completely with foil and seal it shut. Let them cook for about two hours, or until you can easily pierce the skin with a fork. Once their done, the skin will peel off very easily and they will be ready for you to put in a salad, serve with a soft, mild cheese or even eat alone. Beets can also be boiled. Simply peel them and place in boiling water for approximately 15 minutes. Keep in mind, also, that the beet greens are the healthiest (and in my opinion) tastiest part of the beet and can be boiled the same way. Simply add vinegar and salt or your preferred seasoning and enjoy! Beets are very healthy, boasting a long list of vitamins and minerals such as iron, potassium, and magnesium. 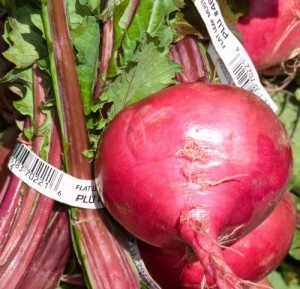 Beets are also high in folate, an essential b-vitamin.